Exorbitant pricing, lack of promptness on requested paperwork, subpar neatness. $450 to reset flange ears on toilet bad enough but not cleaning or replacing rusty bolts shows lack to customer concerns as house being sold. Week and days have passed and still no itemized explanation or declaration of no water as requested for buyer. ZERO for all but the ma’am’s issued. Trusted integrity due to scripture used in advertising. Hmmm . Live n learn so others don’t have to here. Wow! Fastest response time I’ve ever seen. Matt did a thorough verifying the leak in my kitchen, did the repairs and was out. Very professional. Will use again. Thank you. Clint is a first-rate plumber. He is my next-door neighbor and I know him as a wonderful person and family man. He is great about giving information when we have a problem and is always kind and courteous, whether on the job or just being neighborly. I give him an A+ recommendation. My husband and I feel very fortunate to have him and his beautiful family as our neighbors. They were great in diagnosing and offering options, but the quoted rate for the work required was ridiculous. The great part is they didn't charge me for a diagnosis, which was huge and I really appreciate, but their quote effectively charged me $400/hour for labor when you worked it out. Maybe I should have called them back and asked them to quote me just the installation only. Parts were $100 ordered from a parts warehouse and it took me only 20 minutes (including reading directions) to install. They quoted roughly $350-$425(max) for the total job depending on parts cost. James contacted us 15 minutes of our HomeAdvisor inquiry and made arrangements to arrive the following Monday. On Monday he called exactly as promised and arrived shortly thereafter. He diagnosed and repaired the problem within 15 minutes and the charge was fair and reasonable for the work performed. James of JC Plumbing contacted us within 15 minutes of our HomeAdvisor inquiry and made arrangements to arrive the next Monday. He called exactly as planned and arrived shortly thereafter. He was able to diagnose our problem and repair the damaged part in less than 15 minutes. The service was outstanding and the charge was more than fair for the work performed. I had guests over at my new home. My garbage disposal stopped up and we tried everything. I had never used I JC plumbing. I got a returned call within minutes. Sean B was there with 20 minutes and was courteous and fast. I will recommend them. Non of the negative feedback was towards Clint. He does good work and is easy to deal with. I was in a bad spot with a septic issue and it took 2 to 3 days for service. I felt the price was also outrageous. This will be my last time to use JC Plumbing. Clint fixed the problem quickly and also noticed an issue with the lift station. Thank you! Everything was great except the price. We had a pipe burst due to extreme cold weather. The parts were 60.00 and the labor was $1040.00. He told us it would take about 3 hours to repair....it was closer to 6 hours. Clint was very accommodating considering I changed the appointment several times. He is very knowledgeable. Arrived on time and completed the repair. Very knowledgeable and polite. I felt that the price for the job was WAY out of line. $1300 to replace a hot water tank that I supplied seems to be excessive. I felt pressured because it was for my renters an it was a weekend. I used this company to install a gas line into my fireplace for a gas log set. The line was installed promptly, and although it cost more than I expected, the installer was quite friendly and polite. 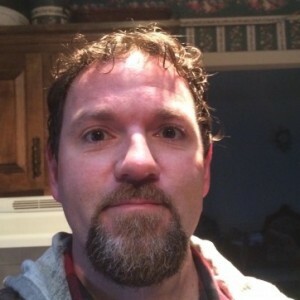 Rich has a 5-Star rating and leads the company in total reviews, making this pro a ReviewBuzz Rockstar! In the process of replacing my main water line the workers absolutely destroyed my irrigation system even though I had warned them about it. When I voiced my concern Michael told me not to worry,they would fix what they broke! Needless to say they did not and when I called to complain about the extra cost to fix the irrigation system I was disconnected. My extra cost is $2,245 at this point!! I am considering taking J.C. Plumbing to Small Claims Court to recover this extra expense!! Rich did a good job working on my problems. I do have one problem with my shower knobs working as I would like them. Have to turn them a full half turn for water to even start coming out. No other faucets operate like that. Water come out instantly. Charles Hall. Arrival time was alittle off. Otherwise seems to have done a good job. I called JC Plumbing out for an estimate on replacing my main water line to the house, based on what another plumber had told me was the problem and quoted me $1200 for the job. When Charlie came out and I explained what I had been told, he said let me do some things first. He then discovered it was only my regulator box not being set to the correct setting which is why I had no water pressure. He saved me over $1100 on a repair that did not even need to be done! 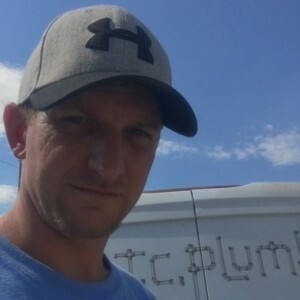 I am so very grateful that I contacted JC Plumbing and that Charlie knows what he is doing and cares about saving the customer money and doing the job right the first time! I will definitely recommend them in the future! He did a good quick job for a fair price. We had an emergency in the basement that put out the two gas hot water heaters. AOG was not interested in helping out - said there might be a lot of damage and to call a plumber. Bryan arrived within the hour and got them lighted right up. Lucky there was no apparent damage to the units. Price was $150 but it was after hours on the day before Christmas Eve. I would call them again. Charlie was very effective in finding damaged water pipe. Professional, courteous and patient explaining process. Highly recommend Charlie H.
great, very nice and knowledgeable, will and have recommended them to my family. will use them in the future. Service was GREAT, but the cost to replace a shower fixture was outrageous. $500.00 for 2.5 hours of work. This is the second time you did work for me. The cost was fair the first time. 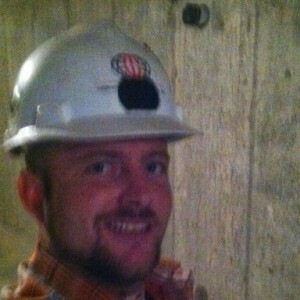 I will be looking for another plumber with more reasonable prices the next plumbing service I need.